Around 100 people gathered in the ballroom at the DoubleTree by Hilton on Friday, March 9 for the AZBEX inaugural Leading Market Series event, eager to learn what’s going on in the higher education market. The Leading Market Series is a new monthly event that focuses on a specific market sector and brings in top owners for a panel discussion on what they have in the works. After a quick round-robin discussion with a couple of owners from the audience, Morris gave attendees a look into the higher education market using information collected from the AZBEX Database. The data showed, unsurprisingly, that the large state universities (ASU, NAU and UA) have the majority of the capital projects in the higher education market. It also shows that there are still a lot of design and construction opportunities within the sector. According to the analysis of the higher education projects listed in the AZBEX Database, 43 percent of projects have yet to assign a design/architectural firm and 44 percent of projects have yet to assign a general contractor/CM@R.
After a brief overview of the market, the panel discussion began with Cassie Robertson, preconstruction manager with DPR Construction, introducing the three panelists: Rich Oesterle, director of campus development with Grand Canyon University, Bruce Nevel, associate VP of facilities development & management with Arizona State University, and Peter Dourlein, campus architect/assistant VP of planning, design & construction with University of Arizona. Each panelist was given some time to talk about projects coming down their pipeline and how each university’s goals influence project selection and project aspirations. For ASU and UA, one of their biggest goals for the universities is sustainability. One of the biggest goals for GCU is maintaining the growth of the university. “The growth curve just continues to increase with the niche market that Grand Canyon has, so our goal over the last few years and into the near future is how do we manage to maintain that growth and stay ahead of the curve,” said Rich Oesterle with Grand Canyon University. Toward the end of the discussion each of the panelists was asked what excites them and scares them the most about the upcoming few years. They were mainly excited about the growth of their schools while expressing their concerns over labor shortages and rising costs. “We’re just on this curve here to grow in all areas, so we’re never bored, but I would say that the escalation of costs in the industry makes me very nervous,” said Nevel. 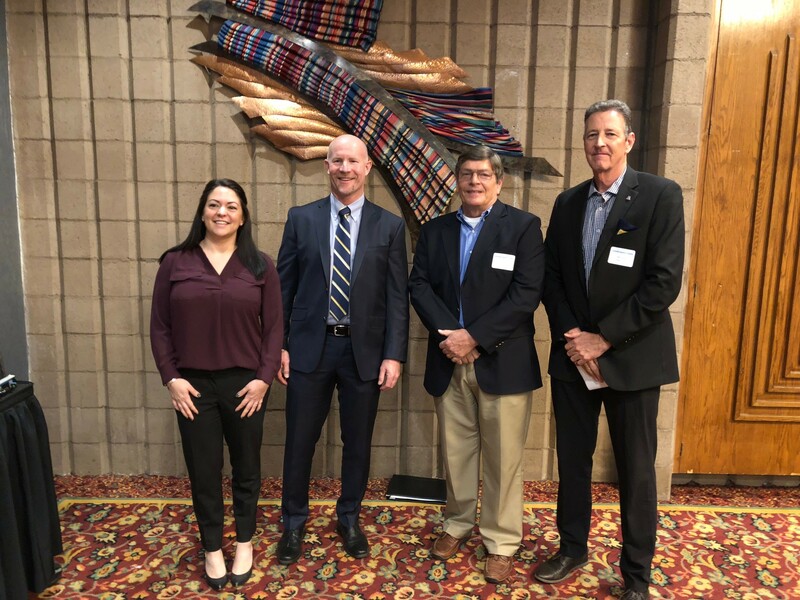 Overall, the first installment of the AZBEX Leading Market Series was well received and attendees walked away with a better understanding of what lies ahead in the higher education market.